John Isner of the United States returns the ball to Canada's Milos Raonic during their men's quarterfinals match at the Wimbledon Tennis Championships, in London, Wednesday July 11, 2018. 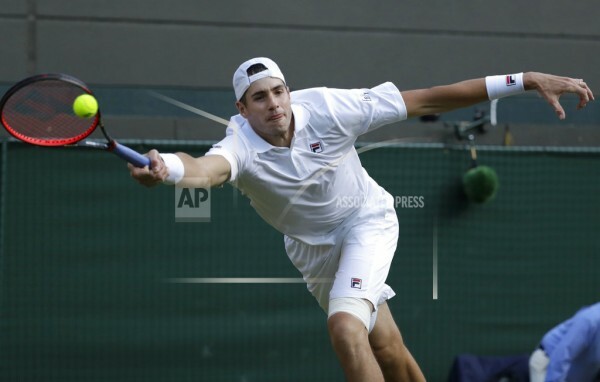 WIMBLEDON — Former Georgia men’s tennis All-American John Isner used a 6-7 (5), 7-6 (7), 6-4, 6-3 win against Canada’s Milos Raonic Wednesday afternoon to advance to his first-ever Grand Slam semifinals. He also becomes just the fifth American since 2005 to advance to the semifinals of a Grand Slam event. The victory sets up a contest between two college tennis greats as Isner will battle former Illinois star Kevin Anderson this Friday. Ironically, the two met during the NCAA national championship match in 2007, with Isner taking a 6-1, 7-6 (1) win en route to a national title and perfect 32-0 record for the Bulldogs. Isner also owns an 8-3 head-to-head record against Anderson during his pro career. Isner is in search of more history on Friday as he looks to become the first former Georgia men’s tennis player to advance to the finals of a Grand Slam singles event since Mikael Pernfors made the finals of the French Open in 1986. A native of Greensboro, N.C., Isner was a four-time All-American at Georgia from 2004-07. He holds the school record for career singles (138), doubles (138), and combined (276) wins. 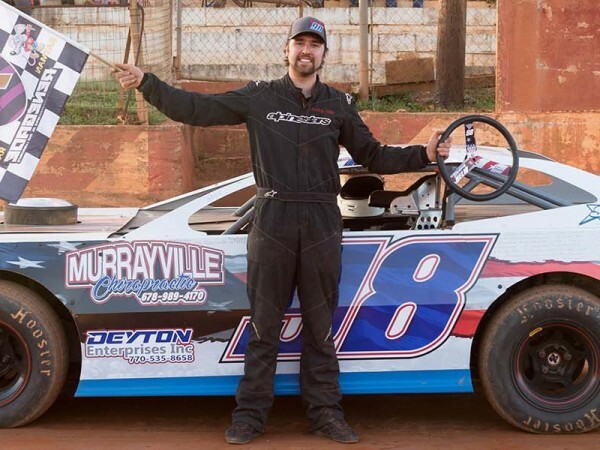 Chris Woods took command of Saturday night’s Limited Late Model feature at Georgia’s Winder-Barrow Speedway early on, and went on to record the victory. 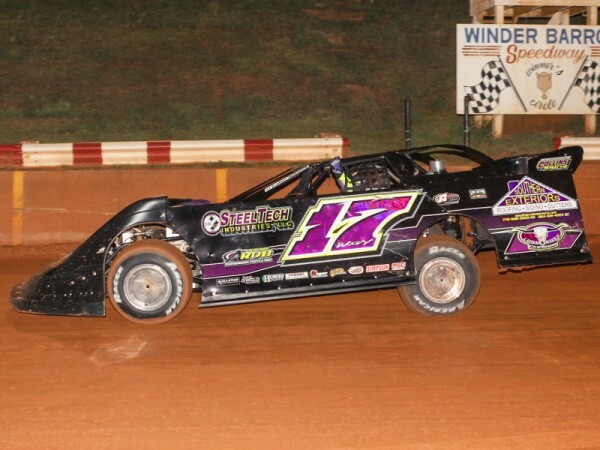 Sterling Helm started the night on the pole for the Modified Street feature at Georgia’s Hartwell Speedway on Saturday night. He ended it with a victory lane celebration. 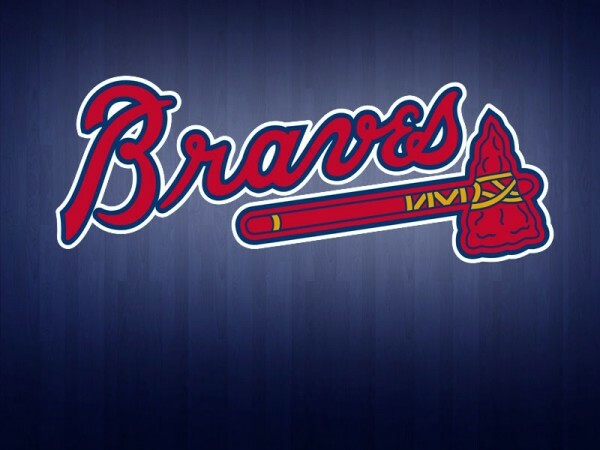 Gwinnett Stripers right-hander Lucas Sims has been named the International League Pitcher of the Week for July 2-8, the league office announced Monday.